One more month on our Winter Special. Last chance to join with no initiation fee! Now is a great time to get back to the gym! Enjoy Spring Tennis Programming and a full-service gym to keep you fit through the Winter season. 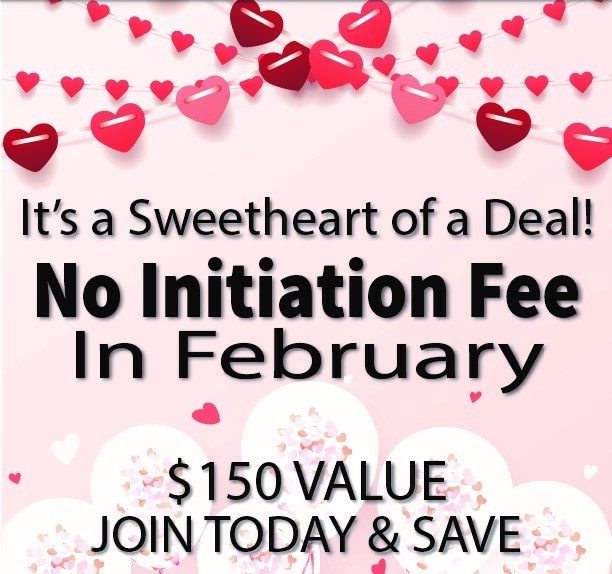 No initiation fee this February! Save up to $150 when you join today! Keep an eye on our Facebook page for updates of Tennis and Fitness Programs.